I surprised myself with this project. Never having tried fake stone before, I was unsure. Could I pull it off? Using Crayola air-dry clay from the kiddie craft aisle? But golly, I love how these turned out! Mounted grouped in a shadowbox frame. Turned into way cool Xmas ornaments. Got other ideas? Add them in the comments! 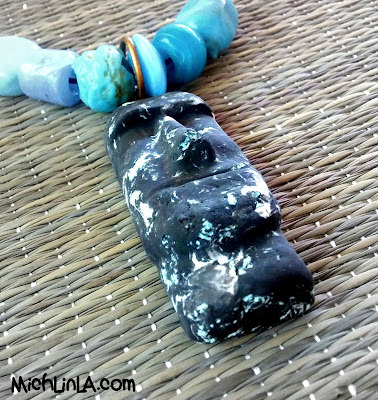 For today's tutorial, I'm going to show you my necklace version. Check it out! The DIY is madly simple. 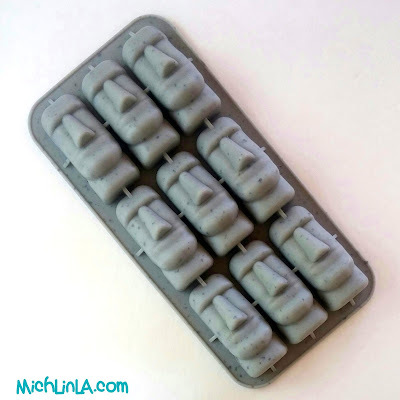 I started with this awesome silicone ice cube tray, a great yard sale score for fifty cents. Then I marbled small batches of air-dry clay. I did it differently each time; some versions are just black and white, others have some blue mixed in for spice. Remove them gently - see my tips to follow - and allow them to dry. 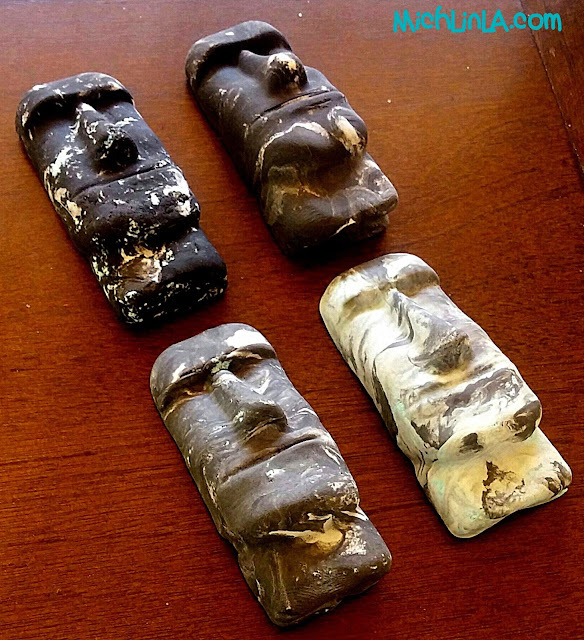 And voila, stone heads! It took some trial and error to get this right, so pay attention, class. Tip #1: Marble gently - too much mixing will muddy the look. Try twisting the colors together instead of kneading. Tip #2: For a rougher stone texture, use crumbles of dried-out clay in the mix. This discovery was a happy accident! 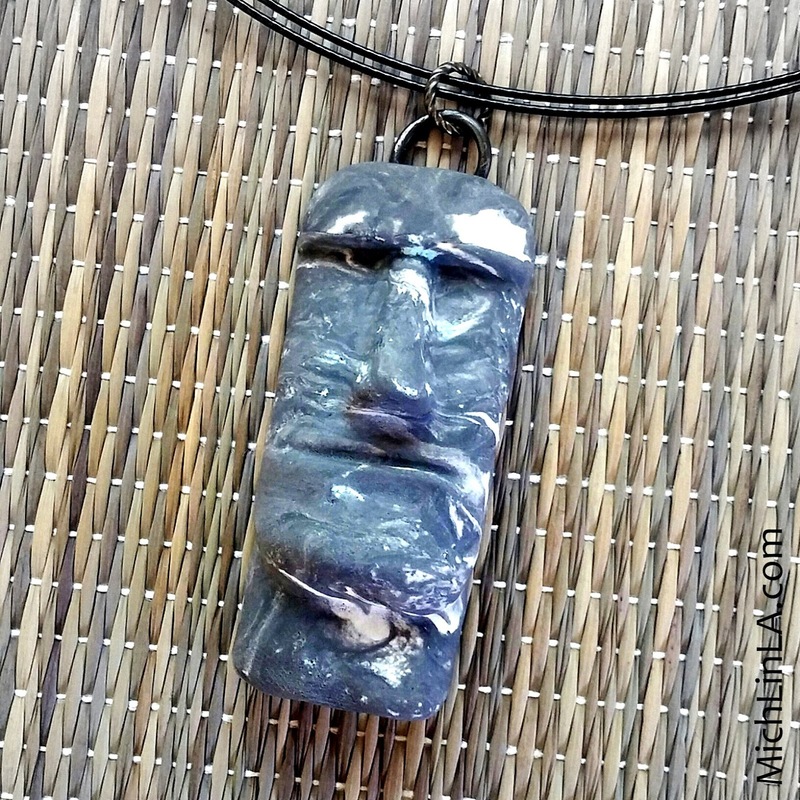 My blue clay had dried up in a poorly-sealed package, so I tried it...fabulous. Now it won't go to waste. 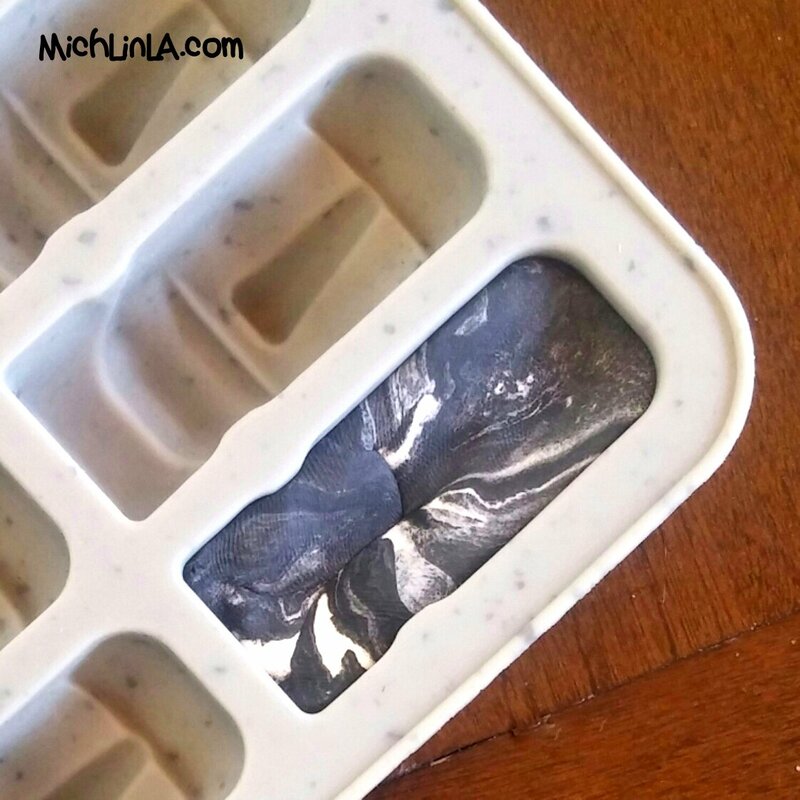 Tip #3: After marbling a batch, let it sit for 5-10 minutes, drying out. 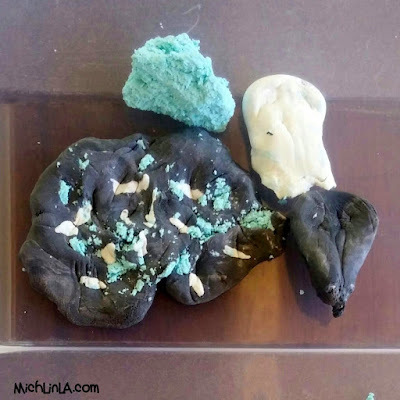 The drier, stiffer clay is easier to unmold. 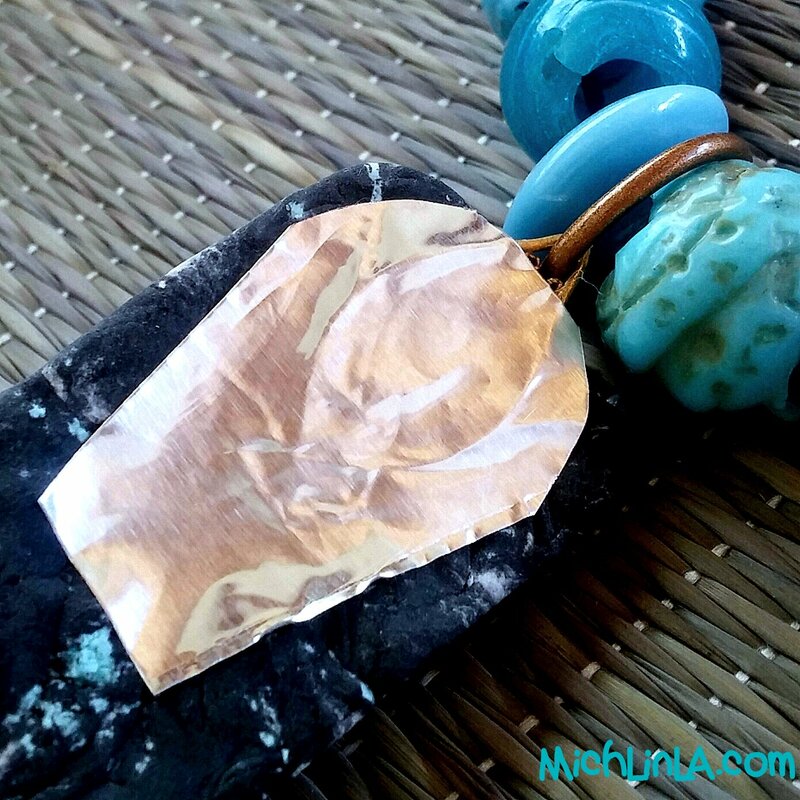 To attach the pendant bails, I used my magical aluminum tape method (tutorial here). Okay, guys, that's the story of the Easter Island pendants. Hope somebody tries it. Have fun! This is so cool, Michelle! You've given me a great idea! I'm going to the kiddie aisle and get some Crayola air dry clay. I want to make a few flowers to decorate the rims of terra cotta pots and I have some soap and cookie silicone molds that just might work! Thanks! Ooh, rims of terra cotta pots?! I love that idea, Gail! So happy to give the nudge - hope they come out great. nice idea! I always see those shaped trays and I always think that there can be things made but I never thought about air dry clay. Now I will be on the look out for those lovelies! I hope you get lucky! 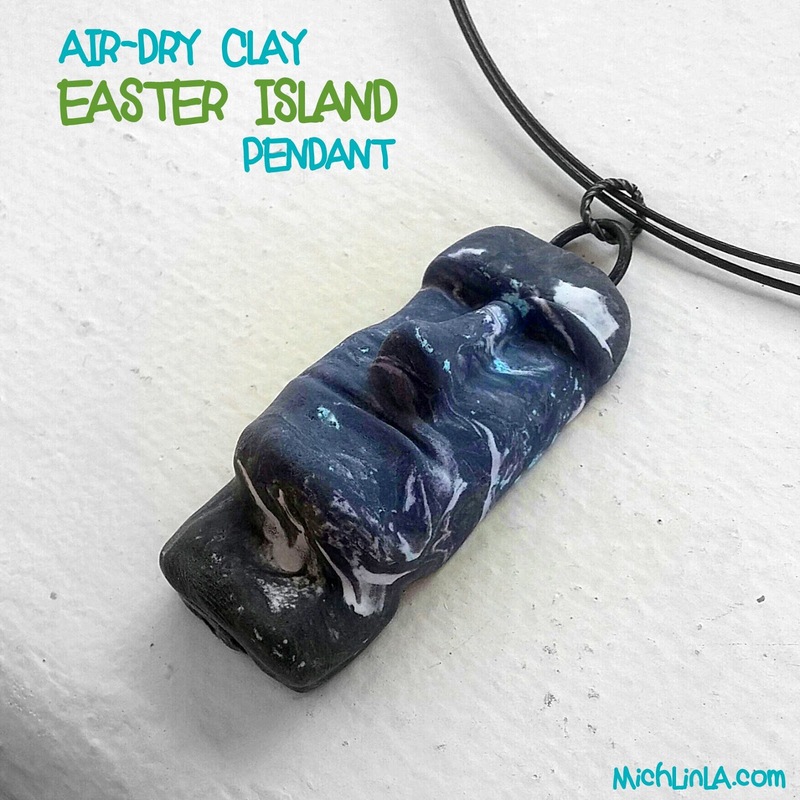 I know what you mean, I usually don't think about air dry clay that much because it's a bit fragile...but ohhh so easy. Thanks so much for the nice comment! These are so much fun! I see all kinds of possibilities with different molds. Why am I thinking Pet Rocks? 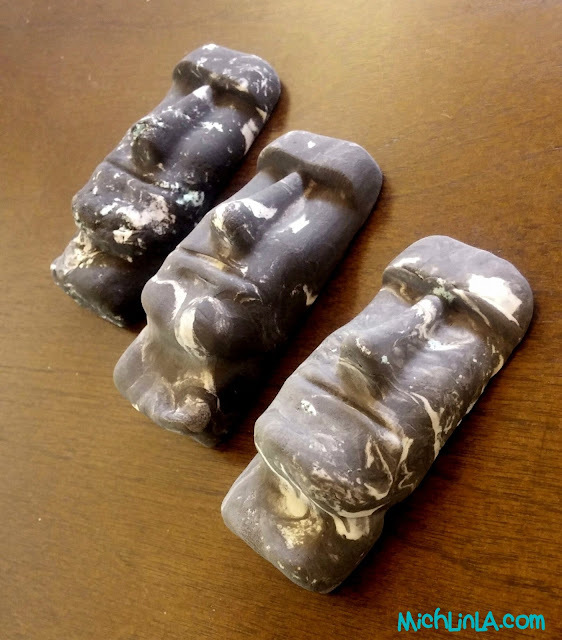 Really interesting little project, I have actually been to Easter Island and those heads are truly amazing. Maybe you could put some in a frame with a map of the Pacific Ocean in the background? thanks for sharing on craft schooling Sunday! Thank you, Sara! I have forgotten if I ever replied to this comment, sorry if I repeat myself here...I loooove the map idea! Your trip must have been an incredible experience and I am green with envy.